On paper the Audi A7 makes little sense, being a large, luxurious hatchback based on the mechanical underpinnings of the Audi A6. Audi is unapologetic in its exploration and exploitation of new niche models to increase its global sales. The A7 is the result of one such exploration; on paper it makes little sense, being a large, luxurious hatchback based on the mechanical underpinnings of the Audi A6. It’s often referred to as a four-door coupé, rivalling cars such as Mercedes-Benz’s CLS and BMW’s 6 Series Gran Coupé. The A7 Sportback is unquestionably a striking, beautifully-built luxury car that might be genre-bending, but is hugely desirable. With its positioning very much at the upmarket end of the sales spectrum the A7 is only offered with Audi’s most prestigious engines. That means a choice of turbocharged petrol four-cylinder and V6s alongside the 3.0-litre TDI turbodiesels, though in Ireland you’ll be hard pushed to find any A7 that doesn’t stop at the diesel pump. The 3.0-litre TDI V6 is offered with a variety of outputs, depending on how old the car you’re looking at is. From launch the 3.0-litre TDI came with either 204hp or 245hp, though technical revisions across the range in 2014 (which also saw some slight styling revisions around the headlights and grille, plus interior updates) resulted in the outputs rising to 218- and 272hp, respectively. The range was also extended with a bi-turbo V6 TDI option producing 320hp. The flagship sporting S7 is powered by a 450hp 4.0-litre V8 turbocharged petrol engine, while the even more extreme RS 7 gets a development of that same unit, but with 560hp. They’re both, unsurprisingly, extremely rare in the Irish market. Given its status, the SE specification comes pretty fully loaded, with Milano leather upholstery, climate control, alloy wheels and electric front seats, though SE Business adds navigation, bigger alloy wheels and a Valcona leather interior. S line trim adds sportier styling inside and out, though does also bring with it firmer, more compromised suspension. Options packs are worth seeking out, with Audi’s Technology Pack adding desirable kit like Navigation Plus, Bose Surround Sound, a reversing camera and a head-up display. 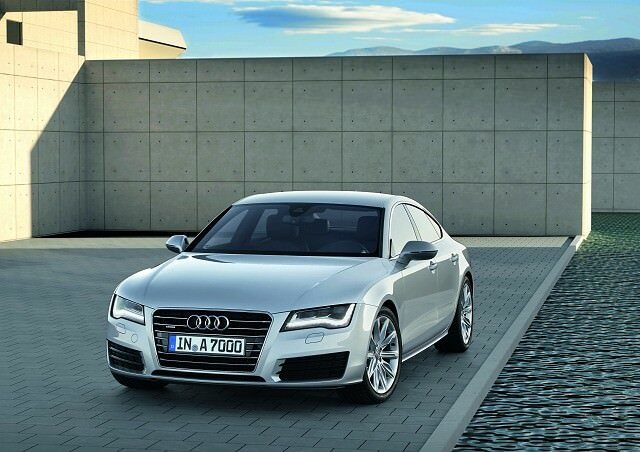 All versions of the A7 are quattro four-wheel drive and feature automatic transmissions. Economy on the diesels is respectable given the size and performance on offer. Space inside is excellent, only headroom slightly limited in the rear thanks to the rakish profile, though the boot is huge, and easily accessed thanks to that large hatchback. In this area of the car market budget isn’t likely to be such an issue, but regardless, the 3.0-litre TDI in its lesser outputs shouldn’t be overlooked, as it does mean reduced running costs during your ownership, for a very marginal trade-off in outright performance. The 3.0 TDI 218 S-Tronic Ultra in SE Business spec would be our pick. A very striking, practical and luxurious big saloon with hatchback usefulness, the Audi A7 might be an unusual car specification, but it works very well indeed. Not cheap, but it’s beautifully built, and the TDI engines provide both excellent emissions and economy.